Today I sit down and watch this extraordinary horror / drama TV series made for Netflix about waring Kingdoms as well as treachery within the kingdom to obtain power. This six episode series is intense and well worth seeing. By the way did I say this had a bunch of zombies it as well? The deceased king rises and a mysterious plague begins to spread; the prince must face a new breed of enemies to unveil the evil scheme and save his people. This week i took a little more time than normal to watch a 18 episode Korean TV series called “Black”. A supernatural/serial killer drama that seemed very different for what I was use to with Korean TV series. A very good and creative series. Heidi Bergman is a caseworker at Homecoming, a facility that helps soldiers transition back to civilian life. She leaves Homecoming to start a new life living with her mother and working as a small-town waitress. Years later, the Department of Defense questions why she left, which makes Heidi realize that there's a whole other story behind the one that she's been telling herself. Oscar winner Julia Roberts stars as Heidi in the first regular TV series role of her career. "Homecoming" is based a podcast of the same name. Alicia and I finally sit down to check out the second season of Ozark. The amazing way the first season was, we looked forward to seeing what the family has in store for the next characters. One hint, The ladies take over. 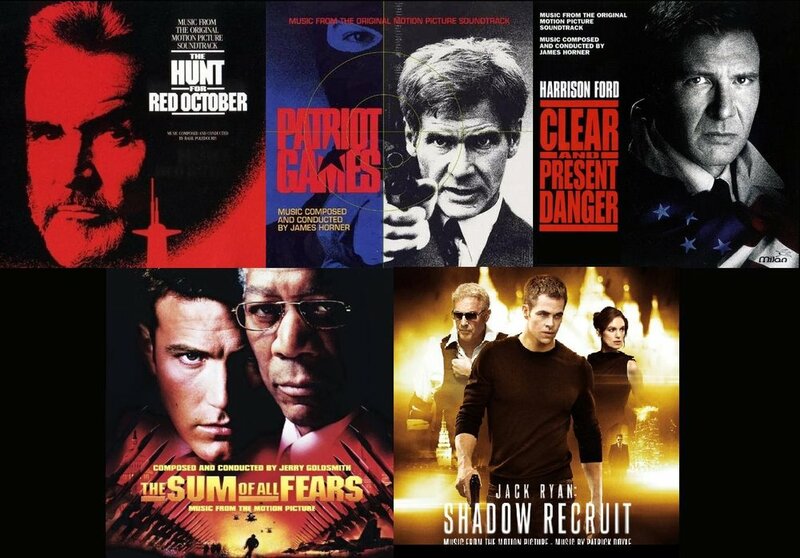 So for the last couple of days I sat down and watched three of 5 Tom Clancy’s Jack Ryan movies. To prepare me for the Amazon series “Jack Ryan”. I wanted to have a perspective before I started watching the series in case there was an unconscience bias about the character and the stories. Alicia and I were very skeptical about this second season of Ironfist. So we were in no rush to sit down and watch it. Luckily it was only 10 episodes. So we checked it and out prior to this. This Marvel Netflix series was the worst of the bunch. Now we have something to really talk about. Thanks to new directors, writers and choreographers. We see a pretty good series. We jumped into a brand new BBC America series called Killing Eve. A cat and mouse investigator/Assassin series with a twist. These two protagonist are women and the assassin is a psychopath. This British triller is very unique and we discuss the nuances of the characters and series. Eve's life as a spy is not adding up to what she had hoped it would be when she started. She is a bored, very smart, MI5 security officer who is very desk-bound. Villanelle is a very talented killer, mercurial in mood, who clings to the luxuries of her job. Eve and Villanelle go head to head in a fierce game of cat and mouse, each woman equally obsessed with the other as Eve is tasked with hunting down the psychopathic assassin. Sarah Barnett, BBCA president, says, " `Killing Eve' stands out in a sea of scripted stories as refreshingly entertaining and great fun. I sit down today with my Grandson Marsalis after we both watched the 2nd season of Lemony Snicket "A series of unfortunate events" series on Netflix. He was so excited by it , that I decided to bring this 9 year olds perspective of what he saw and go over the series 1 and 2 from a childs perspective. I enjoyed this interaction, Hope you will too.